Our apologies to Public School NYC, Nike Air logos, the legendary ’95-’96 season, and “Chrome”, but this right here is the best Jordan release of December. 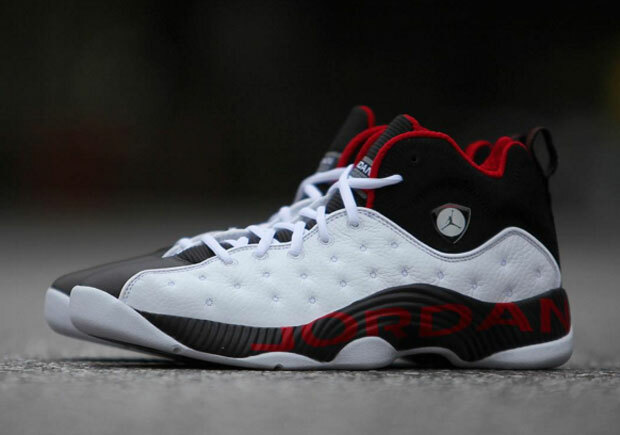 The Jordan Jumpman Team II is widely regarded as one of the best Jordan sneakers in history that isn’t an official legacy model, but this mash-up design that blends key elements of the Air Jordan 13 and Air Jordan 14 strikes a strong chord for Jordan fanatics of the late 90’s. This Retro release is beginning to hit stores in Asia right now, so stay tuned for a sudden appearance in the States.